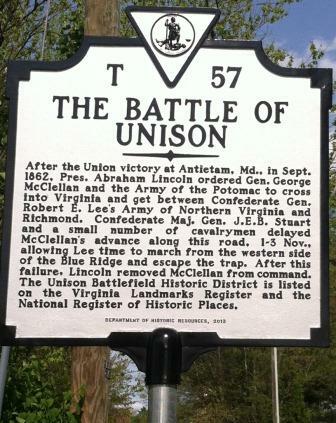 The Unison Preservation Society is a non-profit organization. All contributions are tax deductable. 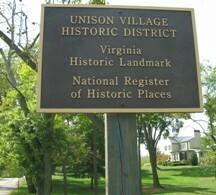 The Unison Preservation Society was incorporated in 2001 to help protect and preserve the historic village and surrounding countryside of Unison. The village was founded in the early 1730's as one of the first settlements in Loudoun County, Virginia. preservation and celebration of our culturally rich heritage. We would like to sincerely thank all our friends, neighbors, supporters, and sponsors for coming out on the glorious November 3rd weekend to enjoy some toe-tapping bluegrass music, excellent food supplied by Monk's Barbeque, the yummy desserts and goodies made by the ladies of the Unison Methodist Church, get up close (nose to nose) with some of the beautiful, sweet, and engaging American and American crossbred hounds of Piedmont Foxhounds, browse and bid the wonderful local art being offered in the silent auction, or bid loudly for one (or more) of the unique items in the live auction - all to support the ongoing preservation efforts of the Society - and still have plenty of quality time to mingle and chat among all the many neighbors. We are delighted to once again call our annual Heritage Day a success, and hope to see everyone next year for the 2019 Heritage Day event! 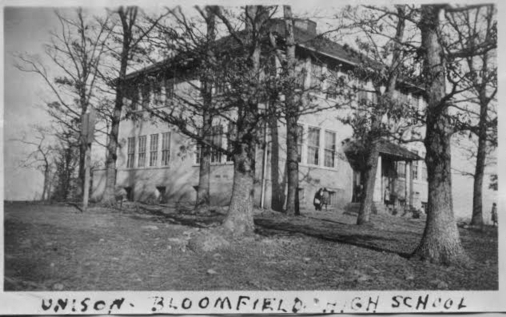 In 2017 we presented an online article - researched and written by one of our local authors - of the old Unison-Bloomfield School. It enjoyed such a great reception that we felt it deserved a link on the home page for website visitors to enjoy the unique and richly written story of the school along with a wealth of incredible, little seen old photographs going back to 1919, all devoted the school's rich and colorful 33 year history.